Rectangular duct is used as main duct lines or branch runs. Don't forget you need (2) "L" shaped pieces to make the rectangle! Founded in 1972, Don Park LP is one of Canada's largest Sheet Metal Manufacturers offering a complete line of residential and commercial air distribution products. Efforts to reduce our environmental footprint include recycling programs for scrap metal, corrugate, paper, aluminum, stainless and copper. Trunk ducts are the main supply (or return) which connect directly to the plenum from which branch ducts extend to individual air distribution outlets. 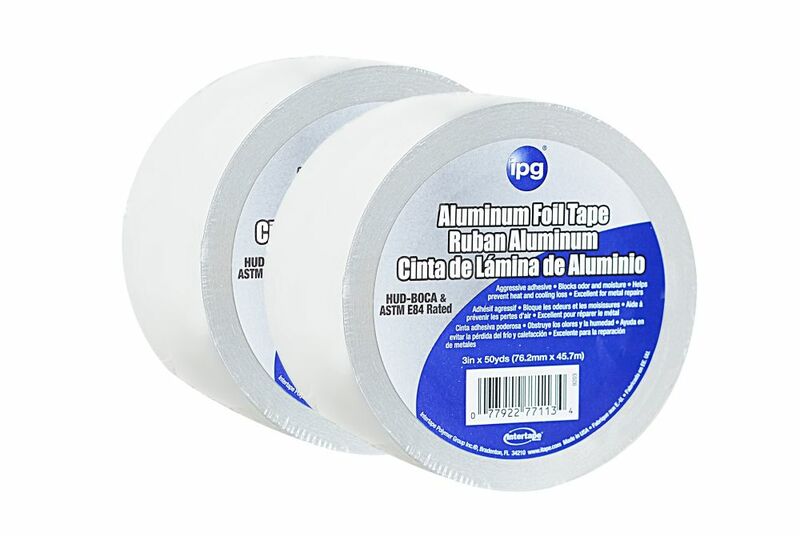 Intertape Polymer Group HVAC General Purpose 1.5 MIL Aluminum Foil Tape 3-inch x 50 Yards - 2 Pack The IPG HVAC 1.5 MIL Aluminum Foil Tape 3-inch x 50 Yards - 2 Pack is designed for General Purpose HVAC duct seaming, patching and sealing to enhance appearance and maintain vapour barrier integrity. Our tape utilizes a high tack rubber based adhesive and is also flame retardant. 1 Box contains 2 rolls of 3-inch x 50 Yard tape.